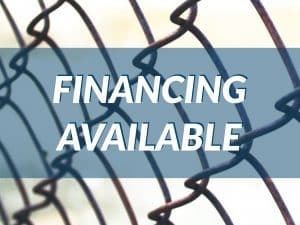 CT Bail Bonds Financing Available – Payment Plans as low as $25 per week! Fast customized bail bonds payment options: Weekly, Bi-weekly, or Monthly bail payments are accepted! 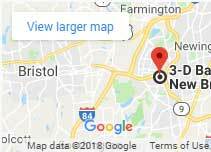 Call the bail experts in financing bail bonds in all of Connecticut now! 3-D Bail Bonds team of experts in financing bail bonds 24 hours a day, 7 days a week offer easy and customized payment plans. 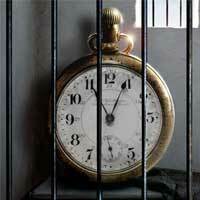 A Bail Bond with a payment plan is very convenient especially because there is no interest for up to 15 months. Dealing with the court and lawyers after being charged with a crime in Connecticut can be overwhelming. Furthermore, finding the funds to bail a family member out of jail can be a bigger challenge. That’s why we are here. We believe everyone should have the right to afford bail at no extra cost with a payment plan. How can I finance a bail bond in CT? Bail Bonds financing is easy and affordable. There are a couple of questions the agent will ask to see what option fits you best. Be honest, there is no wrong answer. The bail company needs to verify your information to approve your payment plan. We are here to help. After you pay the initial down payment, the bail bondsman will suggest a few payment ideas that fit your budget, only when you agree to the terms you should sign the payment plan. You should see the balance to be paid and the terms agreed upon in the contract. We recommend you keep all copies for your records. That’s it. How do I pay for my bail bond? After your payment plan was set up, one of our agents will contact you to introduce themselves and offer options to make your payment. We accept most credit cards and you can pay it online here. You can send checks, money orders, wire transfers, apply pay, and PayPal. Once you decide what you are using to pay, you can call, email or text 3-D Bail Bonds! Yes, paying for your bond is that easy! 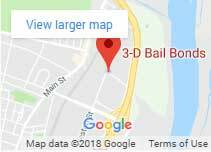 Can I bond someone out even though I already owe money to 3-D Bail Bonds? Yes, you can. If you already have an account with us, it is actually easier to extend the line of credit because you already have a history of paying your bills. We take a lot into consideration knowing the circumstances you are in after an arrest. Our agents will make it as easy and hassle-free as possible for you to be able to make these payments accordingly. Let’s face it, most people can agree with the fact that they don’t put money away with a sign “bail money” that’s why we work hard every day to make sure we offer the best options to post a bail bond. Call the experts in financing bail bonds in all of CT now!